There's something exhilarating about getting ready for a date. Yelping the location to get a sense of the vibe, choosing the outfit, digging out the good underwear (you never know), and then nailing down the makeup. And while it might seem like it's easy to lose that spark once the two of you are regulars at the Italian spot around the corner, it can still be just as fun to create a special date-night look — even if you've been together for nearly a decade. Just ask Rosie Huntington-Whiteley. 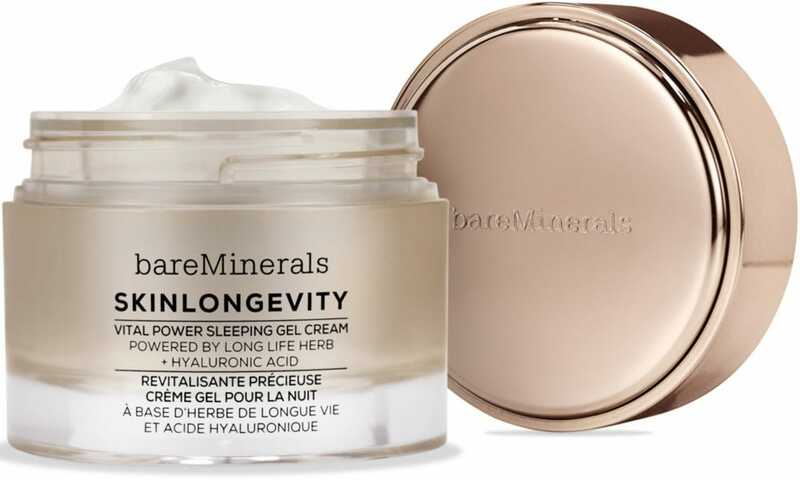 "I like to play up my eyes," the bareMinerals Beauty Ambassador told us in a phone interview this week, saying that her date-night look really depends on how much time she has to get ready. "I feel lucky that I don't have to do too much to my lips — they're already there. But if I do choose to do a lip, I'll do a very clean eye and just keep it natural." 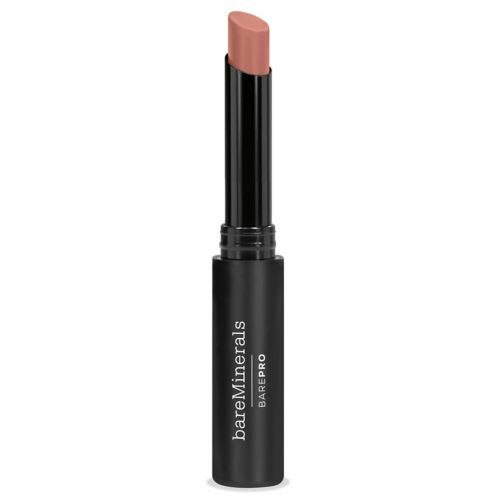 When it's a red lip kind of night, the model-turned-entrepreneur turns to something that won't budge — specifically bareMinerals' newest BarePro Longwear Lipstick. "It's smudge-proof and long-wear, so if on date night there's kissing action, it will stay put," says Huntington-Whiteley, who's been dating Jason Statham since 2010. (The pair got engaged in 2016.) Before swiping on the matte formula, she always starts with a good lip liner for an even fuller look. "It makes your lips look real pouty," she says. But it's not just about having the right pigment — or the right genetics. Huntington-Whitely also sticks to a daily routine to keep her signature lips plump and soft. She avoids lip scrubs, as she finds them to be too harsh, and instead exfoliates her lips with a towel after she showers. "Making sure that you gently rub or buff away any dead skin with the edge of the towel works well for me." she says. After that, she'll slather on a hydrating balm. "One of the first things I do while I'm doing my makeup or skin care is apply some kind of lip balm, like Aquaphor, and I'll just let that melt in," she says. "My lips are usually the last step when I apply makeup." As for the rest of her face, Huntington-Whiteley says she's more consistent in her skin-care routine than she was as a young model. "I've never had perfect clear skin. It's always been this ongoing struggle and upkeep with me," she says. "Now in my 30's, I'm really diligent to not put my face in the sun and find an SPF that protects my face but doesn't clog me up." She also swears by regular facials and a potent night cream that she smooths on during long flights. "It's nice to put something on before bed or before a long flight, and to wake up and feel like you maybe got an extra few hours of sleep," she says. Whether or not she has makeup on, Huntington-Whiteley is enjoying a newfound confidence since giving birth to her son, Jack Oscar Statham, in 2017. "It was definitely a big change for me during my pregnancy and the time after," she says. "My body has changed and it did take me time to come to terms with that. I always associated my body being one way in my early 20's and that being the 'ideal' for my body. I look at myself in the mirror now and I feel very proud of my body and what it has done. I'm turning a new chapter mentally and physically."